New Workshop! June 2nd - join us! Due to the popular demand for information about my Body Intelligence workshop sessions, many people have asked for a crash course on “How to Tap Into the pathway of our Body Intelligence”. Age is a three letter word that a lot of us do not want to hear. Is aging a problem or maybe it’s “you”? Do you want to take a day to really learn to be in control and not become a “ticking time bomb” and all of a sudden you are told you have cancer or diabetes or arteriosclerosis and I was perfectly OK but I found out I have health issue? Why not be more in control and start finding out ways you can detect the early signs of a problem before it comes to you. Please join us for: Crash course on “Body Intelligence” – How to Awaken the Pathways to your Body’s Intelligence. This information is an interpretation of ancient knowledge based on the Yellow Emperor’s Handbook (2,500 years ago), using user friendly language and up-to-date terminology so we can understand and apply these concepts to our daily lives in order to achieve optimum health. 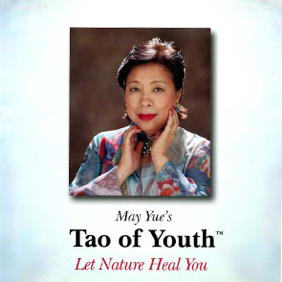 I am your guide, May Yue – Author and Speaker from Tao of Youth. Lose weight naturally. Your body will adjust to the right weight. Have more energy even if you have passed your youthful age. Improve your skin so that it feels and looks better and becomes more translucent. Prevent the onset of diseases such as obesity, diabetes, cancer, hypertension, depression, fatigue, and arteriosclerosis, etc. Feel a general sense of wellness, leading to happiness and joyfulness. A confession: This is not new information and through my research for my own need to solve my own aging problems, I found these answers. I can sleep through the night without running to the bathroom. I do not have constipation issues anymore. 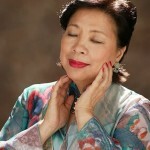 The definition of my face is better after using specific massages (which will be explained/demonstrated). I can fit into tighter pants. I feel a sense of well being that comes from good health. I am excited to share with you my understanding of the Body Intelligence way of health and well being. I hope to see you on June 2nd! There is a small fee of $47 for this all day Body Intelligence workshop. Please click the link below if you’d like to attend. There is a limited number of places available. Understanding Body Intelligence will help you keep disease free and healthy. Hope to see you there – June 2nd.